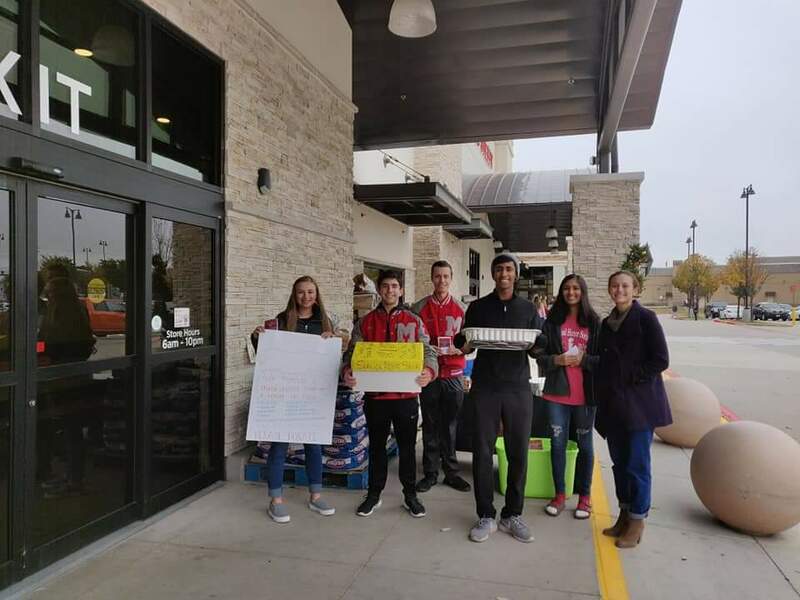 The Holidays were busy, but Highland Village Rotary and our Marcus High School Interact Club found time to bring some holiday cheer to over 150 families in the Denton County area. The Clubs partnered with Market Street to get donations and provide complete meals for 150 families. Highland Village Rotary members could also be seen at the Wal-mart on Justin Rod, ringing the bell for the Salvation Army and sipping some hot chocolate. Click more info to see the other great events Highland Village Rotary was involved in during the Holidays! This is a huge achievement for our small but mighty clubs! This far exceeds our goal and the number of families helped last year. The students from Marcus planned, and executed the entire project with a little help from teaches, Rotary members and family. The students helped deliver the meals as well. We could not be more proud of all the hard work these future leaders put into this great event and how many people were able to have complete meals for Thanksgiving. 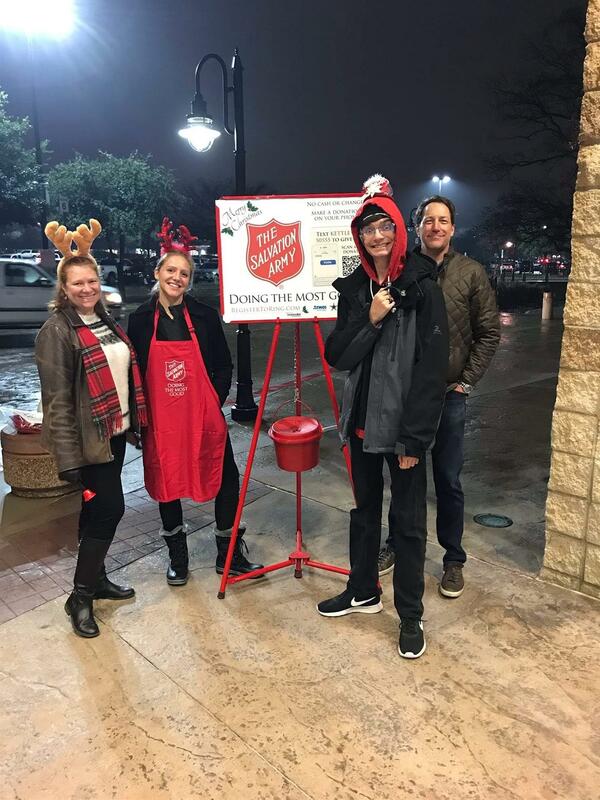 Highland Village Rotary members could also be seen at the Wal-mart on Justin Rod, ringing the bell for the Salvation Army and sipping some hot chocolate. Member took shifts and covered both entrances for more than 2 hours; making it a great night for the many Denton County families that will receive toys and food this holiday season. Several HV rotary members held food drives for Senior Paws with Denton County Meals on Wheels. We cannot forget our furry friends either! The Stuff-A-Cruiser was a big success this year, members held a toy drive and the toys went to the Highland Village Police departments Stuff- A-Cruiser annual event benefiting Children's advocacy center and LISD families.